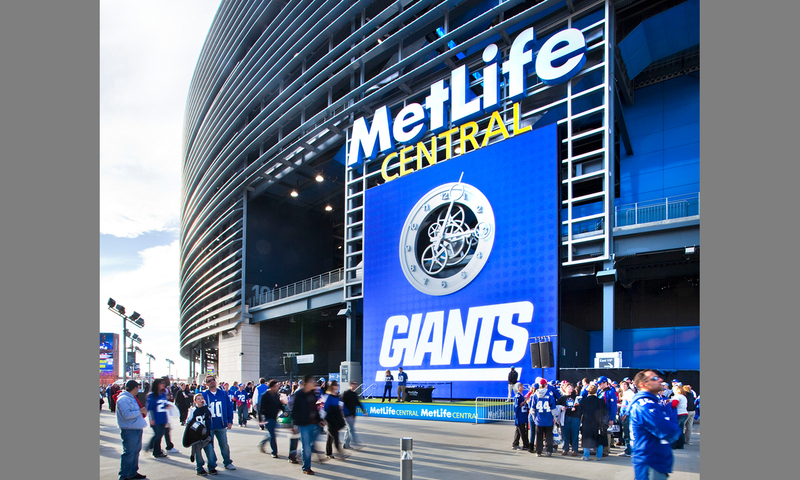 Giants? 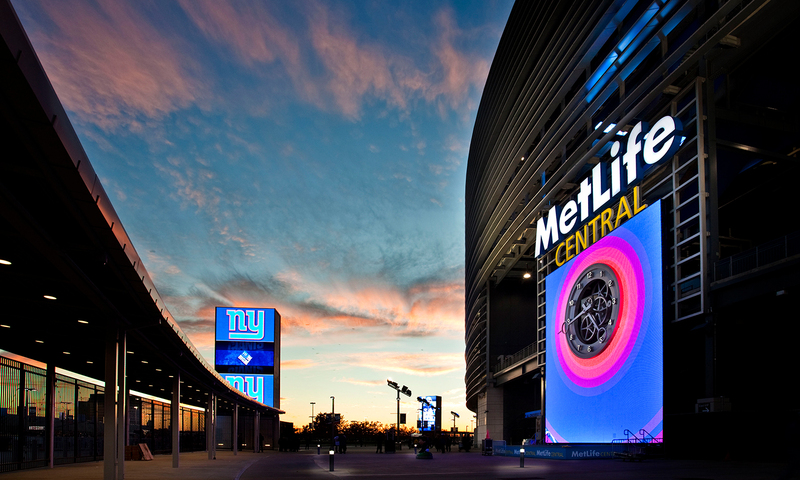 Jets? You need to think BIG! 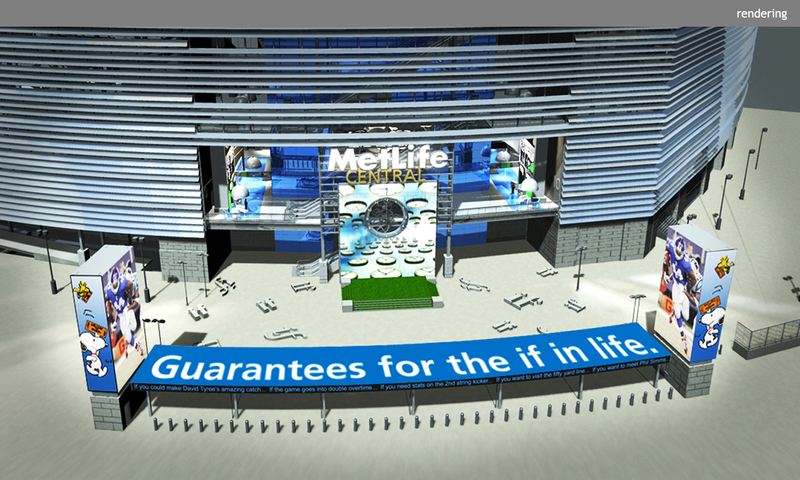 Clickspring was chosen to design the 40,000 square foot, multi-level MetLife “cornerstone” at the New Meadowlands Stadium, home to the NY Giants and NY Jets. 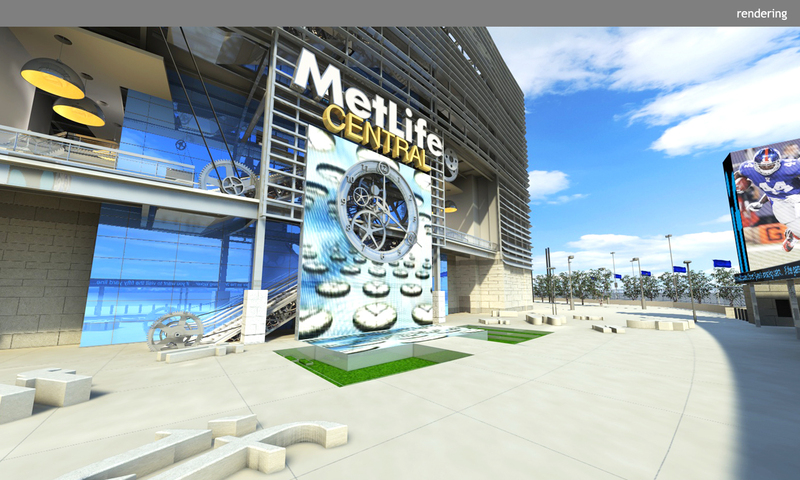 The primary objective was to enhance the fans’ experience at the stadium, immersing them in an environment designed to engage and entertain. 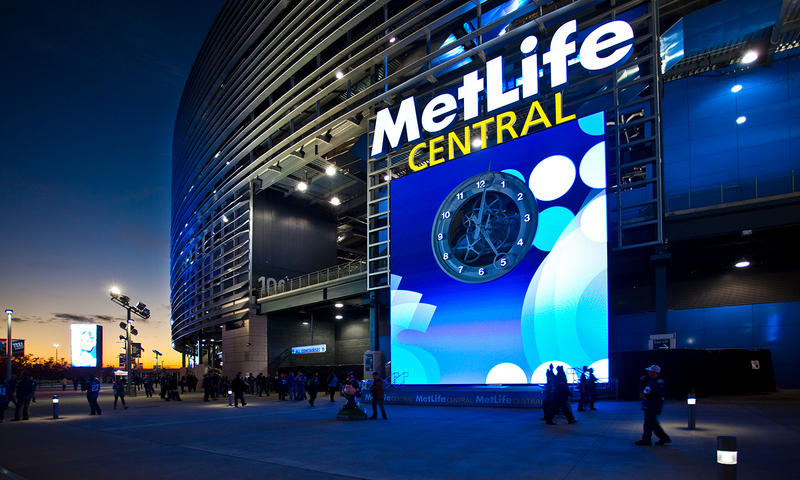 From the moment fans entered the gate at MetLife Central and saw the 20-foot diameter clock, they knew it was game time. 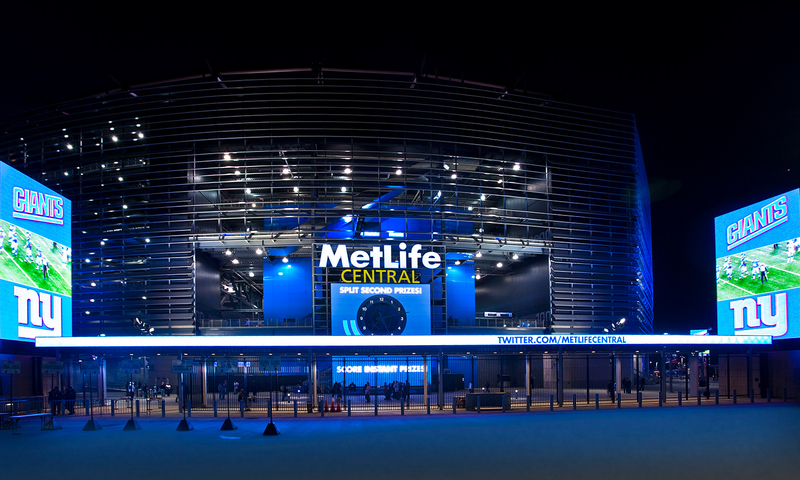 MetLife assumed naming rights for the stadium in 2011, a testament to the success of MetLife Central.